For those who wants just to stay at home this coming Holy Week but is urging to see historical sites in the Philippines, well Google has a treat for everyone - Google's Street View. 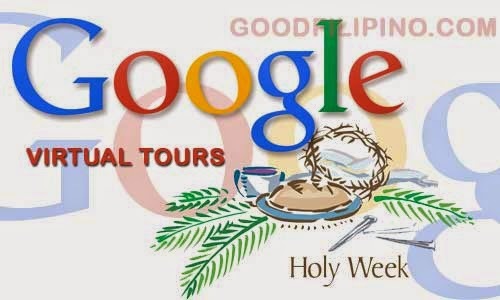 Three of the most visited sites in the Philippines is included in Google's 10 "breathtaking wonders" you would want to visit this Holy Week even at the comfort of your home. All you need is any gadget that you can connect to the internet. Google said, "Real or man-made, the Philippines’ top 10 most-searched Street View Special Collections destinations of the past year are captivating and travel-bucket-list-worthy." Google added, "Pinoys delighted in man-made structures representing freedom, love and power, with Fort Santiago topping the list. Out of the seven countries listed, home remains a top choice for Pinoys to explore as two other historical landmarks in Intramuros also appear on the set." Here's the 10 complete list of historical sites all over the world that you would to visit through Google's Street View. This is definitely a less expensive tour you may want to do this Holy Week Staycation. We would like to suggest to you this page for your reference, please don't hesitate to click the bookmark button. Comments or suggestions about "3 Philippine Sites included on Google's virtual tour for Holy Week staycation" is important to us, you may share it by using the comment box below.